Originally located in Hanover Airpark in 1987 CFI Vacuum has maintained an exclusive line of products in Richmond Virginia. CFI carries a complete line of high quality vacuums, quality brooms, dusters and more. 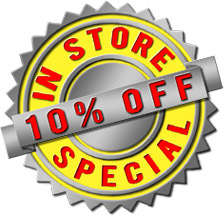 We Carry Eureka, koblenz, Sanitiare by Eureka, Sebo, Panasonic, Carpet Pro, Fuller Brush, Dyson and Sanyo. We are a member of (VDTA)Vacuum Dealers Trade Association . Member of the The Brook Road Business Association and The Retail Merchants Association. 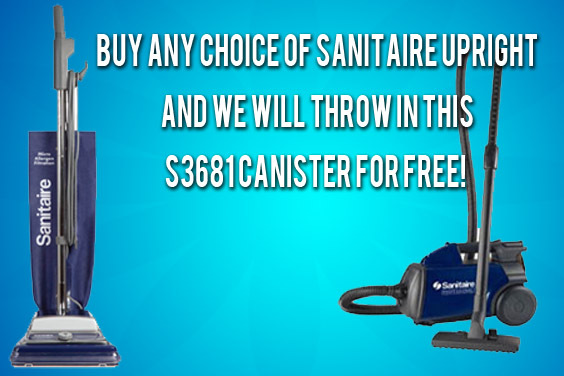 Buy any choice of Sanitaire upright vacuum and we will throw in this Sanitaire s3681 canister for free!